Sunday UPDATE: Melissa McCarthy is massive. That's not a shot at her weight but rather her heft at the box office as Identity Thief banked colossal cash, scoring huge with both women and folks who have really low expectations for their laughs. The Jason Bateman co-starrer doubled my forecasted figure with a gargantuan $36.6M and that's with the big ol' blizzard taking out a good portion of the East Coast Friday night into Saturday afternoon. This bodes quite well for her next film, The Heat, which Fox just pushed back to June based on the buzz the Bridesmaids' breakout star now has swirling about her. Steven Soderbergh's pharmaceutical caper Side Effects swallowed a bottle of Ambien as it slept its way to an atrocious $10M, and that's with Mr. Box Office, Channing Tatum, featured in what amounted to a cameo role. Next weekend, John McClane will own the throne in the 15th 5th installment of the Die Hard franchise. All bets are off. With a blizzard bearing down on the entire East Coast - my backyard in particular - total takes are going to be downright wonky this weekend. With Snowzilla or Snowmageddon (whatever you choose to name the mountain of snow) expected to unleash its full fury Friday night, a crippling blow to the box office is looking like a near certainty. Losing a Friday night in the country's most densely populated region is a prospect Hollywood's praying doesn't play out. But I'm betting it does. 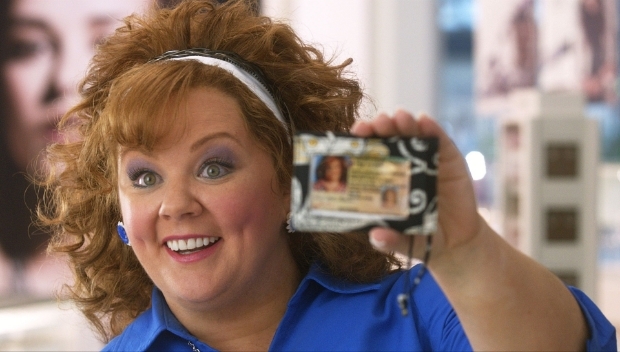 Identity Thief $18.5M - Is Melissa McCarthy a headliner? Listen, I love me some Jason Bateman but McCarthy is the X-factor in this looks-super-stupid comedy. Yes, she was a large (no pun intended) slice of the Bridesmaids' cash cow pie but this is the Mike & Molly star's first true starring role. That said, moviegoers love to laugh - or think they will - so I'll push this past my initial forecast in the low-to-mid teens. Side Effects $11.5M - Aside from his last go around with Steven Soderbergh in Haywire, Channing Tatum was box office platinum in 2012. The Vow, 21 Jump Street and Magic Mike banked a combined $337M stateside. Can't imagine word-of-mouth being strong, it's a slog with telegraphed twists that feels 20 minutes longer than its actual runtime. Warm Bodies $10.5M - The greatly-exceeded-my-expectations zom-com had a virile opening weekend and will gnaw on the young female demo for another weekend before the Twilight-with-witches Beautiful Creatures sets down Valentine's Day. Silver Linings Playbook $5.5M - The Weinstein Company's call to roll SLP out slowly is working out quite nicely – its weekend-to-weekend drops have been infinitesimal. Hansel & Gretel: Witch Hunters $4.5M - Paramount lucked out with this one, the young male demo has had no other options at the multiplex and the result is an unforeseen worldwide total of $100M.